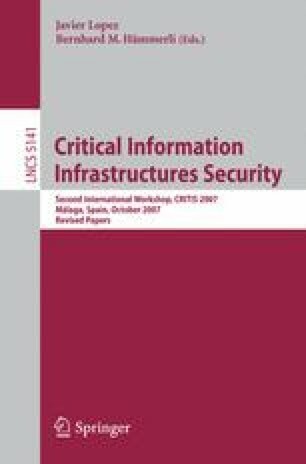 In this paper we discuss the properties and algorithmic methods for the identification and classification of cyclical interdependencies in critical infrastructures based on a multigraph model of infrastructure elements with a view to analyze the behavior of interconnected infrastructures under attack. The underlying graph model accommodates distinct types of infrastructures including unbuffered classes such as telecommunications and buffered structures such as oil and gas pipelines. For interdependency analyzes particularly between different infrastructure types, cycles multiple crossing infrastructure sector boundaries are still relatively poorly understood, and their dynamic properties and impact on the availability and survivability of the overall infrastructure is of considerable interest. We therefore propose a number of algorithms for characterizing such cyclical interdependencies and to identify key characteristics of the cycles such as the strength of the dependency or possible feedback loops and nested cycles which can be of particular interest in the development of mitigation mechanisms.